If there's anything my readers should know about me, it's this: I love a good cleansing wipe. On days when I'm just too darn lazy to wash my face -- or when I'm traveling and can't carry my regular cleanser in a tiny Ziploc bag -- a cleansing wipe just does the trick. And, as of late, I've been turning to Neutrogena Makeup Remover Cleansing Towelettes. I love that these cleansing wipes don't dry or strip the skin, and that they're safe for even my super sensitive face. They smell fresh and clean, not medicinal like some other wipes tend to. Oh, and did I mention they remove every single ounce of makeup in an instant? We're talking everything from waterproof mascara to long-last lipstick. GONE. All that's left is skin that feels hydrated, refreshed and cleaner than before. And, really, isn't that what matters? 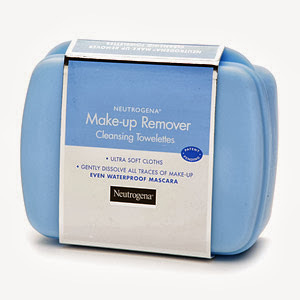 Neutrogena Makeup Remover Cleansing Towelettes are $8.09 for a pack of 25 at drugstore.com.